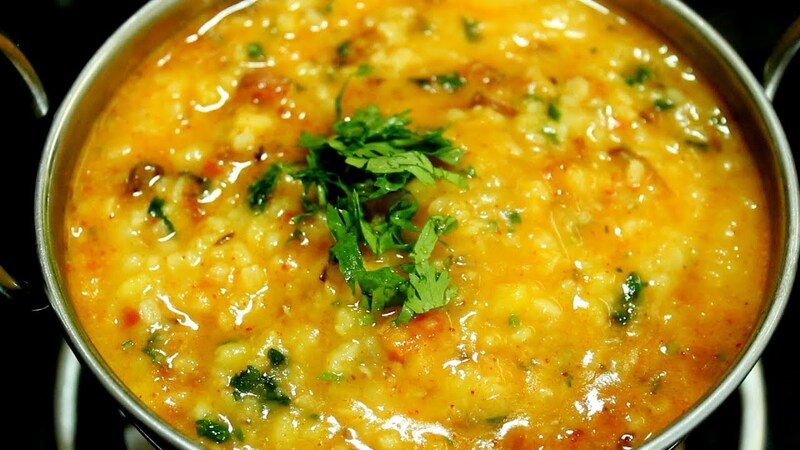 Wash and cook dal until soft with 1.5 cups water in a pressure cooker or a pot. Add ghee to a hot pan, allow mustard and cumin to crackle. Add chilies, ginger garlic & curry leaves. Fry until the raw smell goes off. Fry onions until transparent. Fry tomatoes until soft. Add turmeric, salt, if desired garam masala and chilli powder. Saute for a min. Pour water and dal. Stir and cook till it begins to bubble. Add kasuri methi and amchur. Stir and switch off.